Everybody likes to have fun once in a while. There are many fun activities that one can do including playing video games with friends, watching movies, going to parties among others. Today, there is quite a buzz should there be news of an upcoming party. There is one type of party that I would like to focus on, however. This is the costume party. Costume parties, otherwise known as cosplay are growing in popularity with every video game or superhero movies that is produced. The cosplayers dress up like the characters they love. It is a fun activity that mainly uses characters from the anime world such as those in, ‘life in a different world from zero’, ‘manga, movies’ or even comics. Focusing on the, ‘life in a different world from zero’ anime, there are several stylish characters that you can dress up like in a costume play. Some of these characters include Rem, Ram, and Emilia. Below are samples of their costumes from the wigs to the dresses. You can rock a costume party with a blue pink wig just like Rem and Ram. The wigs are made from synthetic high-temperature fiber. The good thing about these wigs is that you get to wear them with your friend or sister. Nobody can say no to you or pass you by without complimenting when wearing any of these wigs. Silver or grey hair is associated with old age but with the Emilia silver straight wig nobody can mistake you for an old lady. 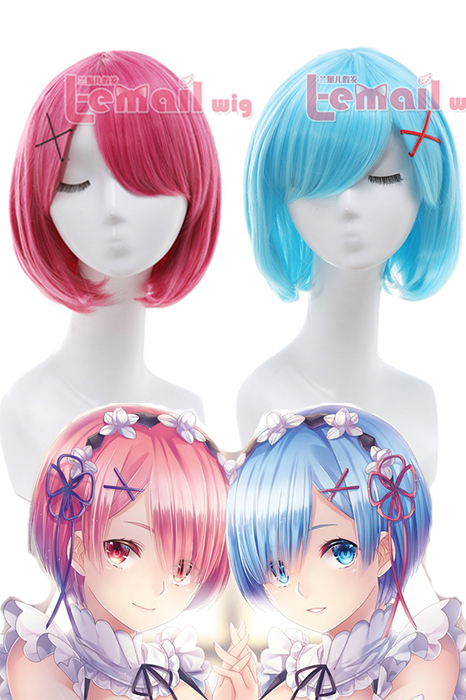 Just like the Rem and Ram wigs, it is made of a high-temperature synthetic fiber. To prevent it from losing its texture and style, it should be hand washed and lefts to dry naturally. There is nothing more glamorous than the color pink. 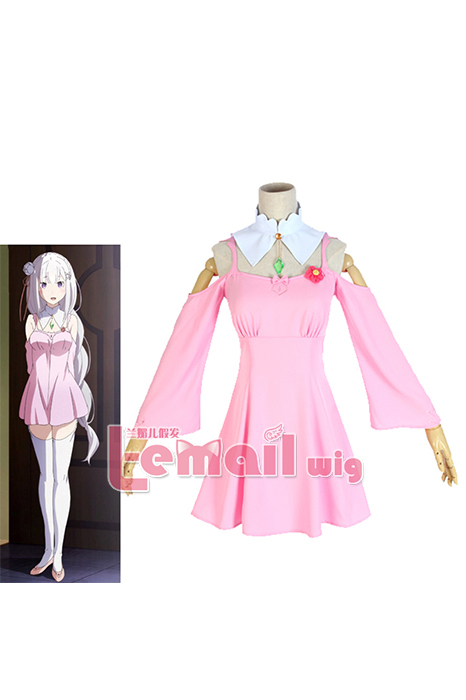 Going to a cosplay party in Emilia’s casual pink dress would be like walking on a runway. The outfit comes with socks and headwear to complete the look. A quick fact about anime characters is that they are stylish. The Emilia cosplay dresses are simply that; stylish. 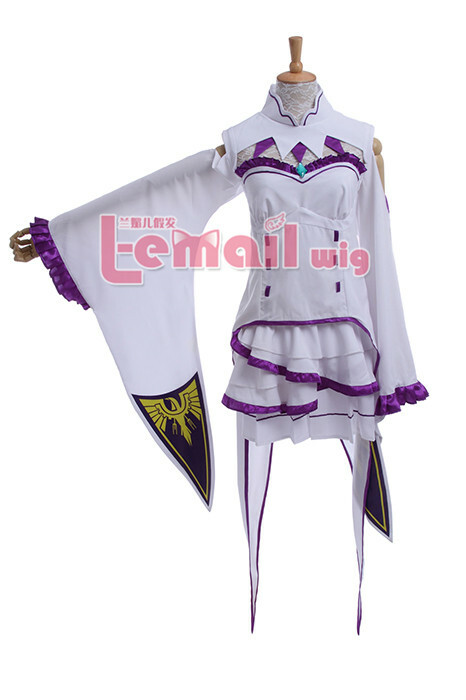 Be sure to get one of this purple cosplay Emilia costumes whenever you are shopping for a cosplay party. The dresses come in different sizes from small to xxxl. To accompany the costume, it includes a top, skirt and stockings. 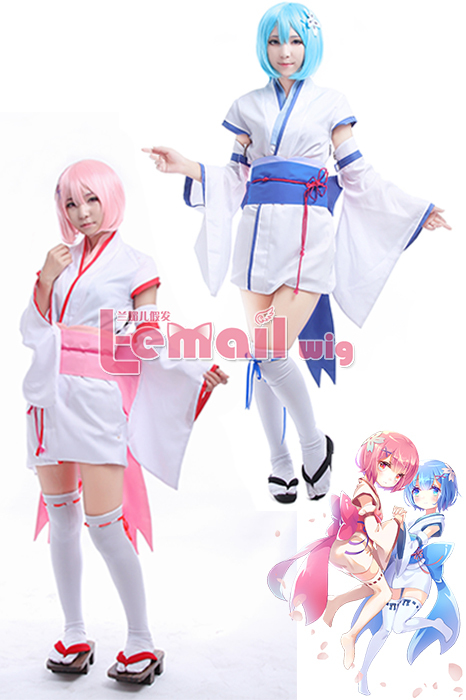 Why not show your friendship or sisterhood bond through this elegant life in a different world from zero costumes worn by the twins Rem and Ram. These cosplay costumes look good on anyone between the size small and xxxl. The cosplay dresses are made of quality material, the spandex satin cloth.The next time you are hyped to attend a cosplay party try buying any these costumes and the spotlight will be on you all night. 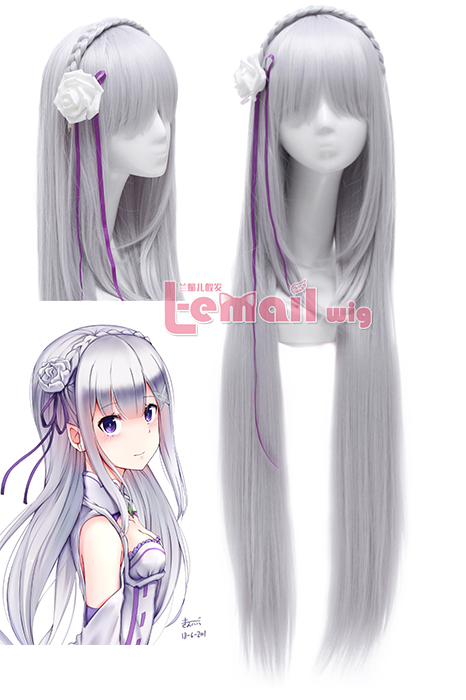 This entry was posted in Buy Cosplay Wigs, Cheap Cosplay Costumes, Fashion Wigs, L-email Wig review, Wigs and tagged anime cosplay, best cosplay wigs, cheap wigs, colorful straight wigs, colorful wigs, cosplay costumes, cosplay ideas, cosplay wigs, L-email wig review, synthetic fashion wigs.